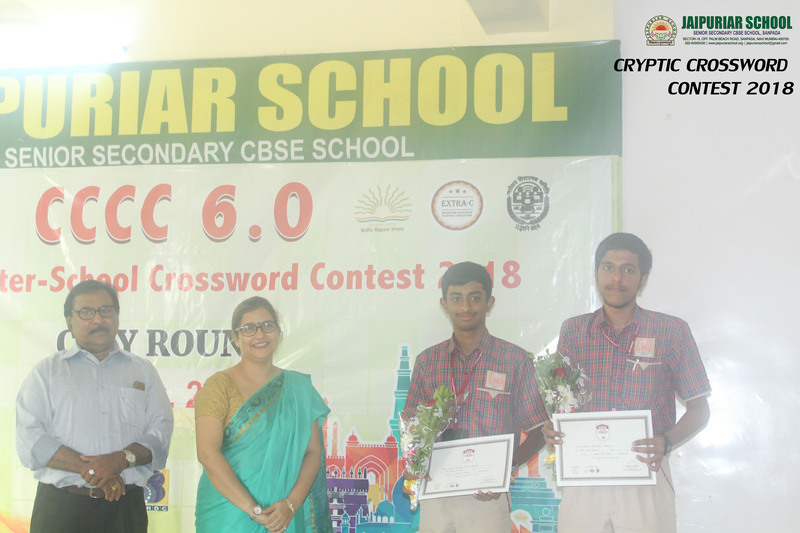 “Vocabulary is a matter of word building as well as word –using” The National Level Cryptic Crossword competition was held on 4th August at Jaipuriar school .Cryptic Competition Is an Interschool level crossword competition which extra C has been organising since 2013.In India the initiative to organise this competition was taken by Sri.Vivek Singh, IAS, Principal Secretary Govt. of Bihar. Mr Ravi Nayar,retired deputy secretary in ministry of shipping(Mumbai Port) is the coordinator of the competitions held in Maharashtra. The Solemn function which was held in Jaipuriar school, started with a formal welcome by the School Co ordinator Mrs HemaArora. 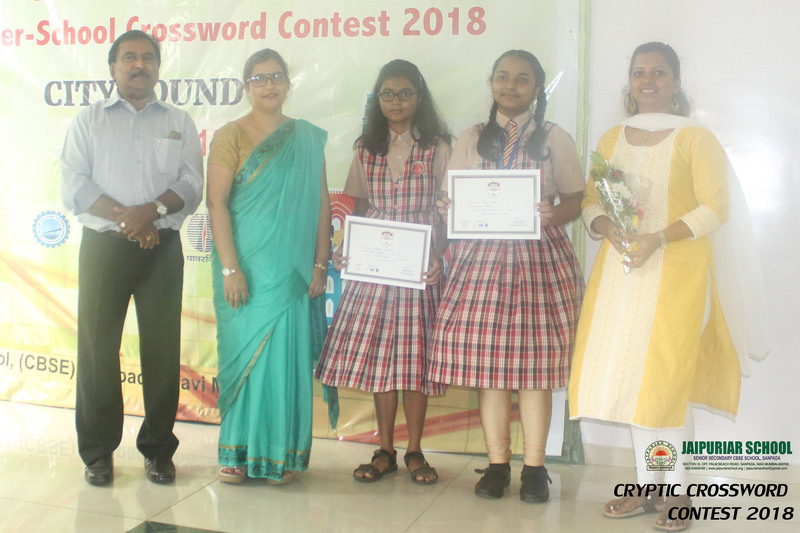 Mr Raj Nayar, Regional coordinator, encouraged the students ,”Your Understanding of what you read and hear is, to a large extent, determined by your vocabulary, so improve your vocabulary daily”. 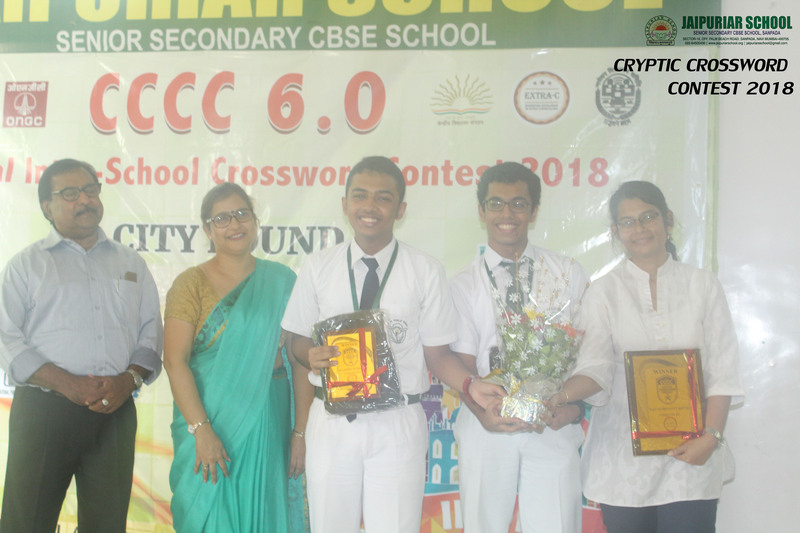 Delhi Public School bagged the first Position represented by Dan George and AmmeshBhaduria. Reliance foundation School was declared the first runners up team represented by Krish Vasa and Srejan Mishra. 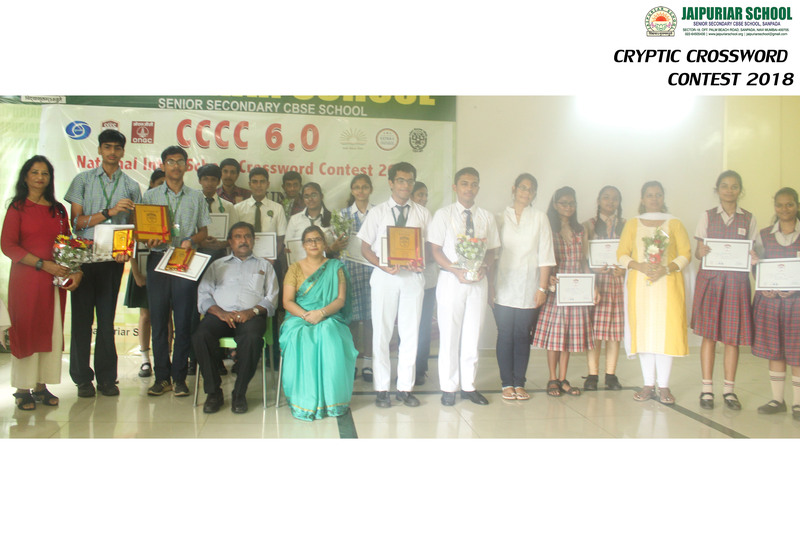 Certificates and mementoes were given to the winners . 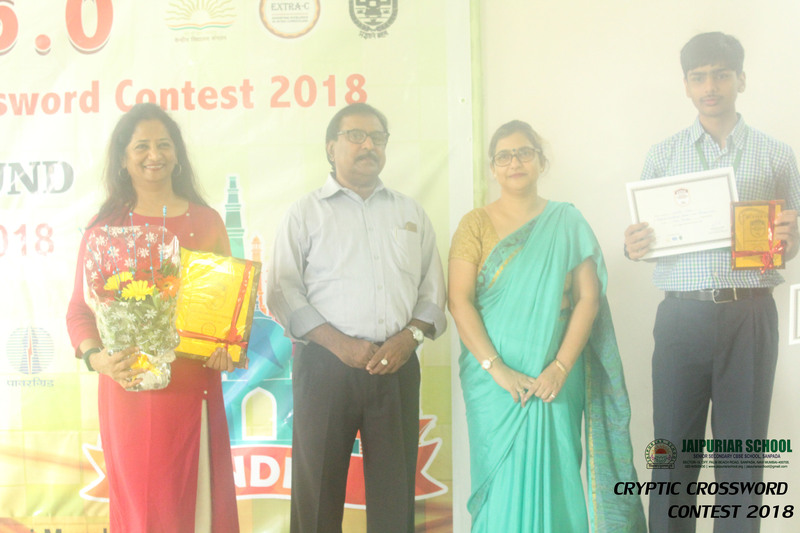 Principal congratulated the winners and encouraged the other participants to perform better next year. 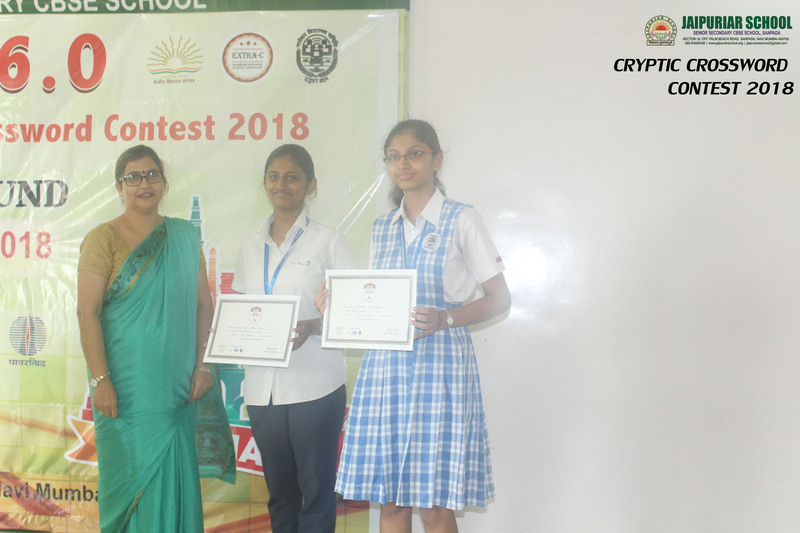 She also encouraged them to participate in more such competitions.